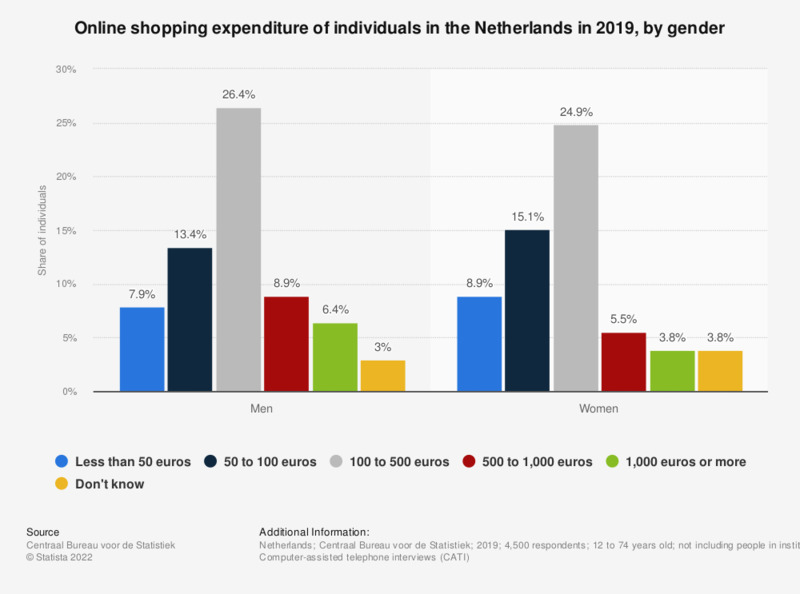 This statistic illustrates the online shopping expenditure of individuals in the Netherlands in 2018, by gender. As of 2018, roughly six percent of Dutch women made online purchases of a total amount of 500 to 1,000 euros. Original survey question: "What do you estimate was the total amount you spent on goods or services you purchased or ordered via the internet in the past 3 months?"